Perhaps the most tragic subgroup in the Harry Potter universe is the non-magical offspring of wizards known as Squibs. Though they live in a wondrous world and are constantly surrounded by marvels, they can never truly partake. This is essentially what it’s like to be poor in New York City. Far from the glitz and glamour promised by the Big Apple, city life for the less-than-rich entails sleeping in a shoebox apartment, eating crappy food, and taking odd jobs for extra cash. In such an environment, figuring out how to subsist—much less thrive—means getting creative about how to live on a shoestring. 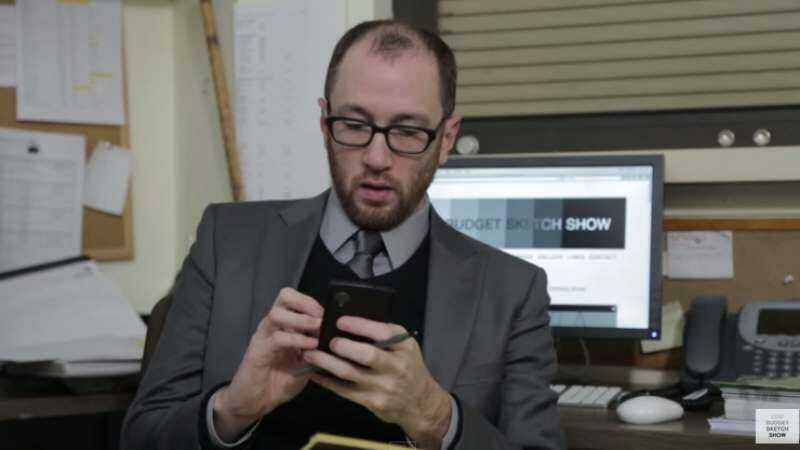 Low Budget Sketch Show taps into that thrifty ingenuity, delivering exactly what its title promises—sketches on a budget. Shooting in New York, the Low Budget crew pulls out all the stops to ensure they don’t have to pull out their wallets: outdoor filming locations, second-hand props, a lot of talking heads, and a lack of special effects. Unlike many of the sketch comedy videos you see online, each episode of Low Budget Sketch Show is a series of scenes, like a mini-Portlandia or Inside Amy Schumer instead of a one-off. This too is in keeping with the show’s cunning frugality, offsetting the threadbare aesthetic with an energetic assortment of ideas. As with anything at bargain basement prices, there are conceits that may not meet everyone’s comedic tastes. But if you poke around, you’ll find some treasures. Where to start: When Low Budget Sketch Show examines itself, the introspection pays comedic dividends. “Season 2, Episode 2” (embedded above) finds the show being audited by the formidable New York State Department Of Web Series Compliance. This opening sketch launches a multi-episode audit arc as well as a social-media motif that links Episode 2’s sketches together. The winning entry here is a low-stakes Midnight In Paris that finds a nostalgic man transported to a party in 1997, hearing guests trade era-appropriate observations like “I just wish there were more roles for Jim Carrey to play” and “I’m really going to miss Princess Diana.” The episode also features enjoyable turns from a sad-sack dollar bill and an out-of-work bouncer who can’t let go of his job. When Low Budget Sketch Show is at its best, it’s imbued with energy, potential, and an infectious sense of merriment. Who says you need money to have fun? Where to watch: Both seasons are available (for free, of course) at the Low Budget Sketch Show website and on YouTube.